This is my first Orbitkey and I was definitely very impressed! I bought this since I wanted that extra durability. Not only is this a very compact style for my important keys, it boasts an awesome unique design and it is built to last and withstand a rugged terrain. Especially if most of the rugged terrain is inside a woman's handbag! Hehehe...us ladies have many accessories/necessities and so this beautiful Orbitkey x EverydayCarry collaboration is simply stylish yet very practical! My keys won't scratch the stuff in my handbag BUT I also don't have to worry about any of my stuff bumping/damaging my Orbitkey while I rummage through my handbag! I simply love the durability! Please keep up the awesome work guys! I look forward to other unique collaborations/designs. Very strongly made. Keys are kept tight and secure. 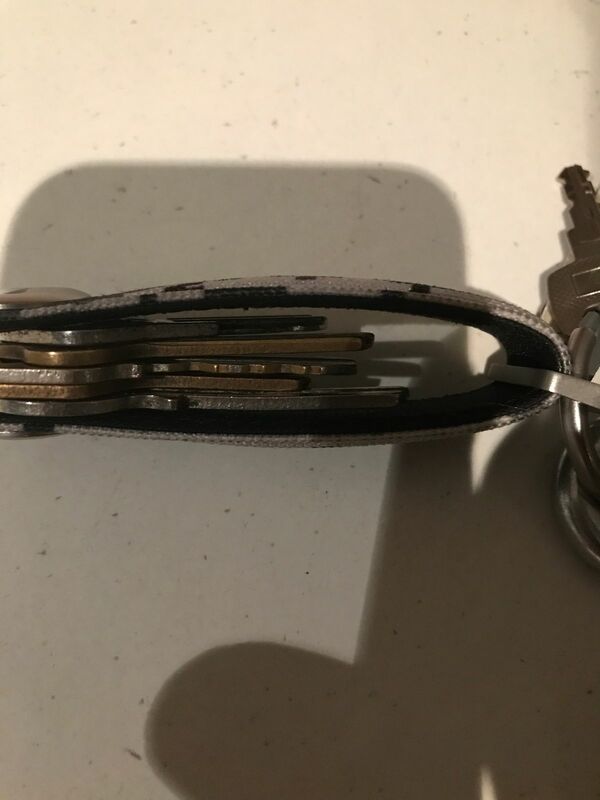 Tidied keys on key ring. Highly recommend. Thanks for the comment, Stephen. Nice key set-up you have there too! Giulio C. Reviewed by Giulio C.
It's pretty nice looking and same great quality as the standard version, the pattern is nice and modern looking but the light grey parts tend to pick up a lot of dirt and turn brownish. It would be 5 stars if it was a printed pattern on plastic/leather instead of fabric.